SURF: Balaram Stack, Welcome to the Volcom Team! Balaram Stack, Welcome to the Volcom Team! 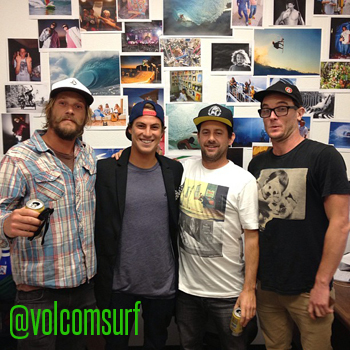 Tuesday May 7th, 2013 - Costa Mesa, CA - Volcom would like to send out a big 'welcome aboard!' to New York's own, Balaram Stack. Growing up in Point Lookout, NY, he's what some consider to be the single greatest surfer to ever come from the tri-state area. Balaram has always been considered a friend of Volcom since he was a youngster competing in the VQS Jellyfish events in the New York area. He's come a long way since then and has made quite a name for himself over the years by constantly appearing in magazine's and videos, doing well in contests and absolutely charging in Hawaii. Whatever it is he's doing, Balaram shreds and we are proud to have him join the Volcom Family!